← Bus Conversion Gallery – Before and After! Click HERE to like us on Facebook for more photos and updates from the road, including our first rolling home-cooked meal and daily travel essentials! On our last day in our old house, we awoke to a classic hot and rainy Oregon summer hell — pretty much the worst combination of weather for two people trying to move a ton of belongings while somewhat hungover from our Bon Voyage party in Portland, Oregon. 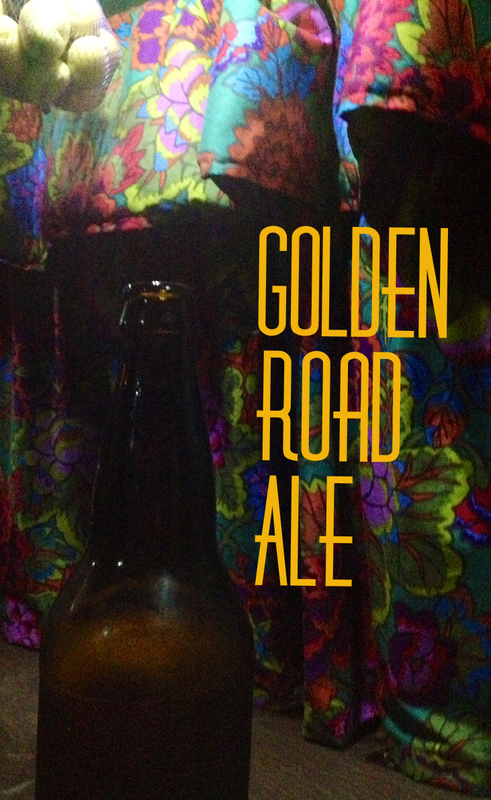 It was painful, and we were craving the open road. And cheeseburgers –Thank you to all our friends who came out to send us off right and helped share our Facebook and blog pages — We have received tens of thousands of hits in the days following! After another 20+ hours of packing furiously and minimizing, we were (at last!) able to hit the road. We landed at our first destination at 10 p.m.: Eugene, Oregon. 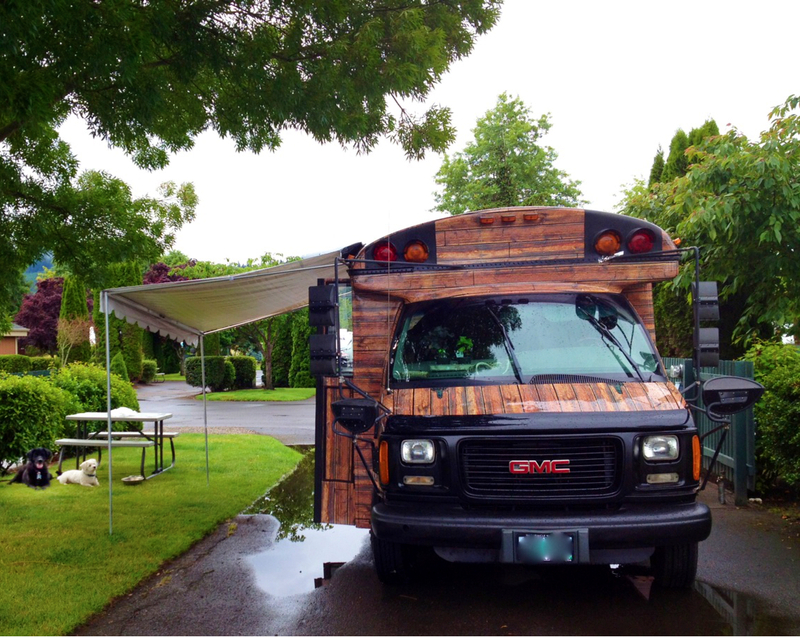 From 3 story house to short bus – Minimization complete! Our first stop in Eugene, Ore. I have previously noted how the day comes when the big change you’ve planned comes to fruition, and it never quite turns out like you think. Our sweet freedom hasn’t quite sunk in yet. There are a lot of aching muscles, general discombobulation, and several moments of just looking at each other in shock and sort of bursting into hysterical laughter because… Well, we are a little insane with exhaustion and we are kind of amazed with ourselves that we have finally pulled this off after 2 years of planning, building, hoping, waiting, and working harder than we ever have in our lives. We sold our house and nearly everything in it. Now we’re finally full-time on our Free Range Quest in the home we built with our own two (er, four) hands. 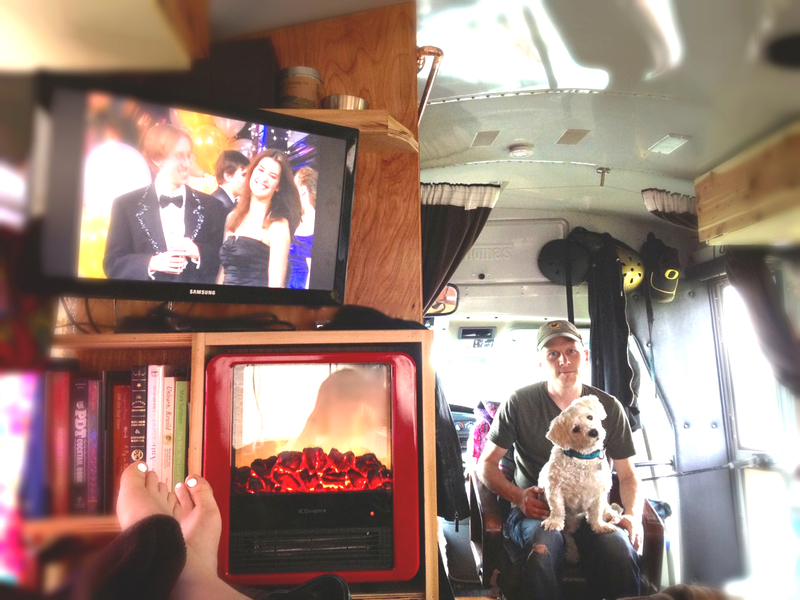 Decompressing in our new tiny home on wheels! See you on the next stop — Let us know if you have any suggestions for a place to go on the 4th of July where there will NOT be a lot of fireworks… We are trying to spare the pups from any more stress… National parks, perhaps? And congrats on reaching the start of your adventure! You really have no idea how jealous I am… No… I….De…Ah….